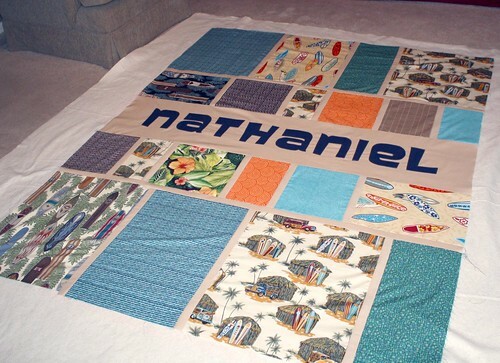 Katie over at Katie’s Corner made this super cool Super Hero Quilt. So I started making my plan based on her photo. 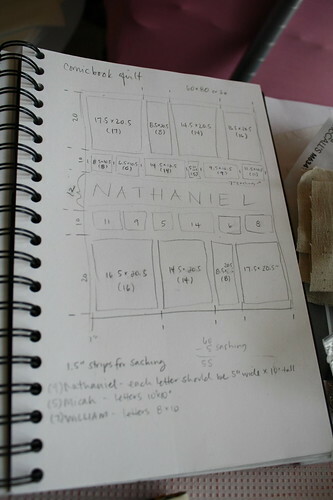 Here are my initial sketches and measurements. I decided that I wanted the quilt to be about 60″x80″, and worked in from there. I knew I wanted to make one for each of my nephews with a surfer theme. Then, for the backs, I used their favorite team colors (FSU and UF). 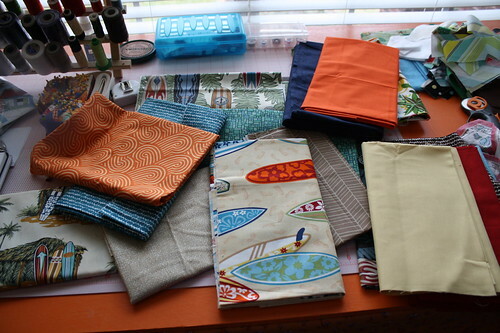 Here are the fabrics I picked out for the surfer side. I’ve been collecting surf-themed fabrics for a while, so I had everything I needed. I have some awesome hula girl fabric too, but I left that out because they’re still a little young. 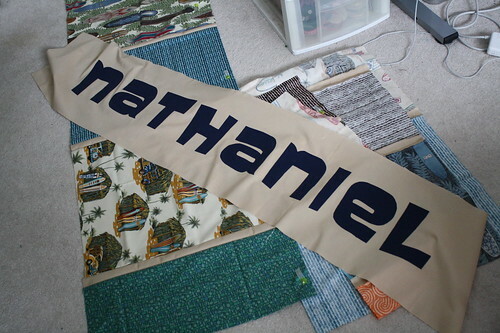 I pieced all the top and bottom strips, and next it was time to do the name applique. So I printed BIG letters in ‘mirror-image’ format on my printer. 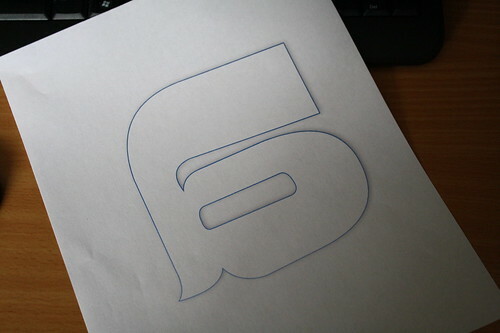 Then I traced them onto the paper side of Heat-n-Bond Lite. 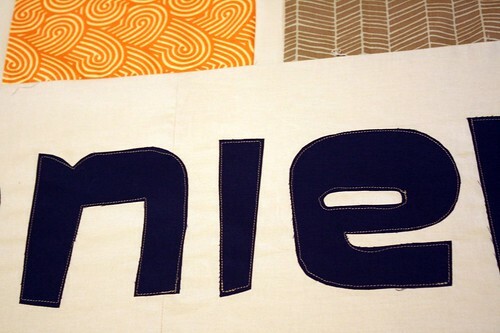 Then I cut each letter out and ironed the glue side to the back of my fabric. Then I cut them out from the fabric and peeled the paper backs off and glued them down to my kona khaki piece that would go into the quilt. I just kind of eye-balled the spacing. Then I just did a straight stitch around them about 1/4″ inside the edge. I tried a couple different stitches – zig zag, satin, but they didn’t look that great. The straight stitch looked great and was fast. And here’s the completed top! this is so awesome! way impressive! !